An NHL team in Las Vegas might actually happen sooner rather than later. At first I was excited about it, then I wasn’t so sure. Now I think it’s a great bad idea. Or a bad good idea. I really thought that the NBA would be the first major league to break the Vegas barrier. The NBA held the all-star game in Vegas in 2007. That seemed like the first test. Then the Maloof brothers, then full (and now part) owners of The Palms Casino Resort, kept having arena issues with their NBA team, the Sacramento Kings. It seemed almost inevitable that the Kings would move to Vegas, but it didn’t happen. The Kings were closer to moving to Seattle or Anaheim than they were to going to Vegas. 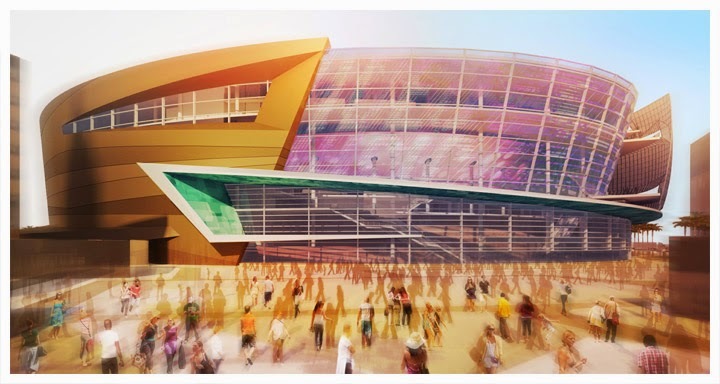 Though the Oakland A's had to open the season at Cashman Field in 1996 I never saw MLB as a viable Vegas option, though I did come up with the idea of having an indoor dome attached to a casino so you could wander in and out of the game just like you do Circus Circus. 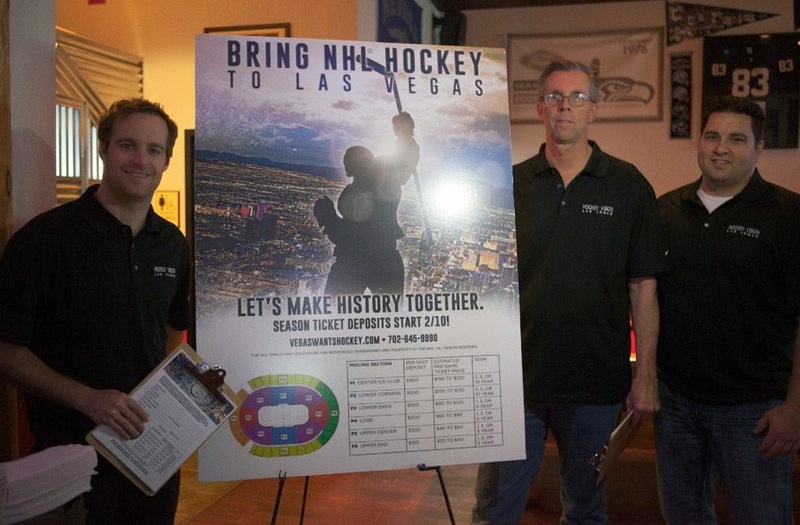 Now there’s a hockey ownership group that’s getting serious, and so are Las Vegas sports fans. In early February, they announced a goal of 10,000 season ticket sales- for a team that doesn’t exist who will play in an arena that won’t be finished for another year- and claim to have sold five thousand seats in 36 hours. They now claim that they are at 70%, which according to my math works out to about 7,000 seats sold. I think Vegas is big enough now to support major league sports. There are still questions as to whether a city with an official population of 600,000 can fill 17,000 seats 82 nights a year, but there are probably at least an additional 200,000 people in Vegas any night of the year, making it much more doable. While an NBA team makes more sense, it seems like the NHL is more likely to cave to the demand and give Vegas a team. Besides, if the NBA expanded and Seattle didn’t get a team then there would be trouble. However, I don’t think it’s a good idea because Vegas is in the middle of a desert. Everything there is fake. Every time I go to Vegas I become very much aware of how much waste is going on. Nothing grows there. Everything has to be imported from miles away. It is 110 degrees at midnight in the summer, meaning that air conditioning, which while not completely made of atmosphere-diluting refrigerants (that is, any more), is going all the time. People are dressed up trying to impress who, exactly? The amount of wasted food is astounding. By putting all this effort into trying to be a normal city, it emphasizes to me that it’s a complete fraud. That doesn’t mean I don’t like going there occasionally. None of this is natural to Southern Nevada. But if there’s a hockey team there, that means there needs to be a major-league ice rink. In Vegas. 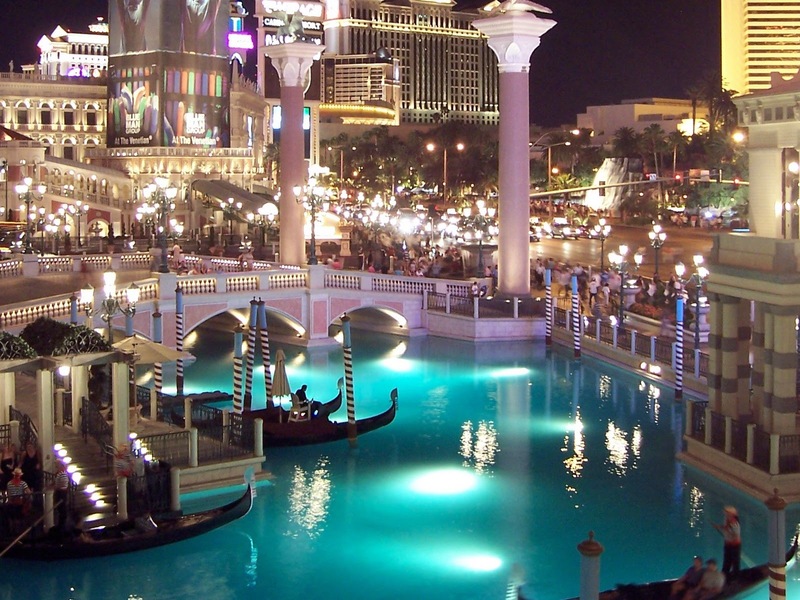 In addition to every other water-wasting thing that already exists in Vegas, like fountains and golf courses and the countless swimming pools and the fake canals at the Venetian and every toilet in a 2-thousand room hotel (multiplied by 20) and every water feature that just keeps running and running and running and running and running. Don’t try and calm me down by talking about “recycled water.” The water still had to get there before it got recycled, and it sure as hell didn’t get to Vegas on its own. And now you want to add a major-league ice rink that will need constant replenishment. It takes plenty of water and chemicals to keep ice rinks going in Edmonton in February, how much more energy and resources is it going to take to keep an ice rink going in Las Vegas? So that’s why I think putting a team in Las Vegas is a bad good idea. Or a great bad idea. Either way, it doesn’t make sense for the environment there, but then, neither does anything else that’s there already. Hockey term. Among other things.